A non-greasy Moisturiser with refreshing natural Cucumber Extract and an added sun protection to help keep your skin soft and young looking. Suitable for combination/oily skins. For best results use after Natural Looks Cucumber Cleanser and Toner. A smooth blend of argan oil, almond oil and rosehip oil, packed full of vitamins and anti-oxidants to boost a healthy glowing complexion. Enhanced with a sunscreen to help protect your skin from harsh elements and retain an ageless appearance. ALL SKIN TYPES DIRECTIONS: Use daily. Apply to clean dry skin, massage gently into face and neck. Revolutionary lightweight serum that promotes a dramatically smooth ageless appearance. 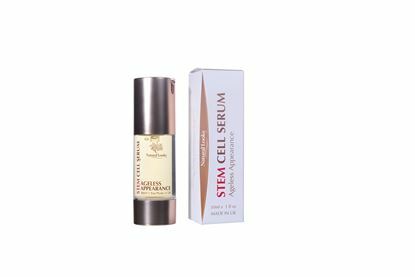 The serum uses Swiss apple stem cell technology to assist in natural skin cell renewal and hydration. Protects, tightens and firms the skin helping reduce the appearance of wrinkles and fine lines.